Stress is the way in which your body responds to any sort of threat or demand it encounters. When you feel threatened by something or someone, hormones such as adrenaline and cortisol are released by the nervous system which causes your body to be fired up for emergency action. When your body undergoes stress that lasts for a long period of time, other health issues can be developed such a headache, sleeping problems (insomnia), back pain, stomach ache, depression and much more. These are some of the many reasons you need to give The New Year 96 Hours Stress Reducer Detox Water a try. 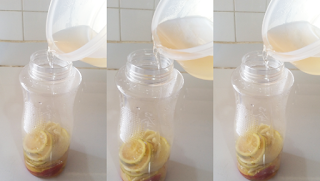 This water will help to reduce stress in your body, flush out toxins, boost your immune system and increase your metabolism. You will not regret drinking this water. Step 1. 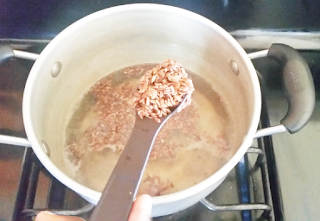 In 2 cups of boiling water add two tablespoons of flaxseed and cook for two minutes. Step 2. Remove skin from garlic and wash orange and apple in a bowl. Step 3. 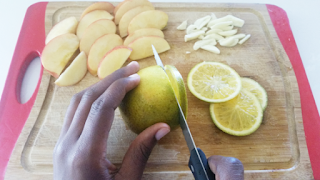 Cut orange, apple, and garlic into small pieces. Step 4. 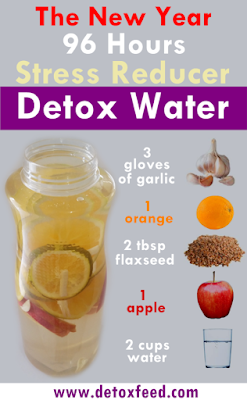 Add sliced apple, garlic, and orange into a large water bottle or container along with the flaxseed-water. Step 5. Fill up the rest of the bottle with filtered water and place it in the cooler to sit for about 1 to two hours before you drink. Drink one cup of this water first thing in the morning before you have meals and one cup in the evening last thing before you go to bed. 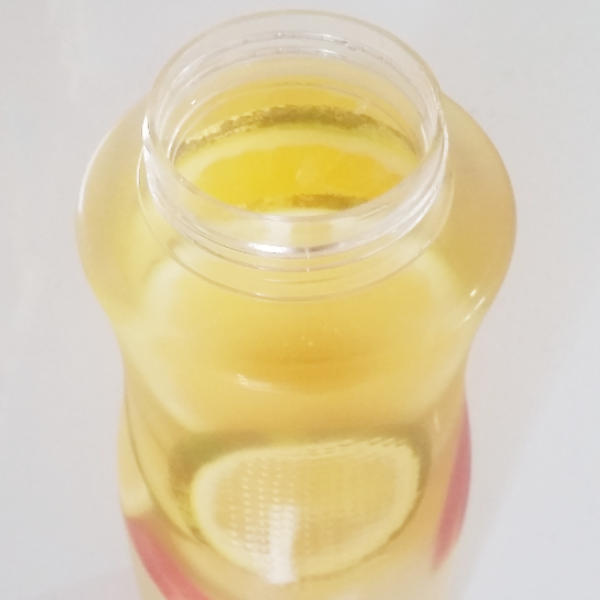 Note: when the water in the bottle is finished, you can always refill it with more filtered water, because the ginger, orange, and apple can last up to 7 days. Just ensure that the water is always kept in the cooler.